Born into a family of stylists, Sue Scott followed her passion – and her legacy – when she entered cosmetology school to pursue a career in hair. “My mother went to beauty school, but she never worked behind the chair,” Sue clarifies. Sue’s dad was in the military, which meant her family traveled — a lot. “Mom did everybody’s hair at home; there were four of us, and all we knew was Mom cutting our hair at home in the kitchen,” says Sue. “When I was about 9 years old, I decided I was interested in hair, and from that point on I was always messing with my friends’ and cousins’ hair,” continues Sue. When a guidance counselor suggested vocational school for Sue, that was all the encouragement the budding stylist needed: Sue went to beauty school during her junior and senior years, and was licensed by the time she graduated high school. While Sue was in beauty school, she and her sister took pictures, and in her spare time Sue sent those amateur headshots to various modeling agencies in New York and Chicago. “I got quite a few rejection letters,” Sue admits. That hardly deterred the motivated 19-year-old. When she finally got a call back from an agency in Miami, Sue moved down south, where she eventually signed with Ford Models. Modeling didn’t exactly pay the bills, and Sue still loved doing hair; once settled in Miami, she took a part-time job as a stylist. “I did that for about 8 years — modeling, and working at a salon,” Sue says. She was traveling to Los Angeles a lot then, too, and life felt more than a little bit rushed when Sue got the news that her mother was terminally ill.
During a yearlong hiatus from modeling and hair Sue “had a change of heart,” she says, explaining, “I decided I wanted to pursue hair full-time. That [year] was a really big pause that ended up being for the better." In 2009, Sue and her husband relocated to Washington, D.C., where Sue snagged a job at a full-service boutique salon in Arlington. “It was a good gig; I worked with a really great guy, and I learned a lot,” Sue says, noting that she also learned from the best in the business during that time — big hitters such as Nick Arrojo, Martin Parsons and Trevor Sorbie. Sue was doing what she loved, and she was learning a lot. But, she still wasn’t totally content. 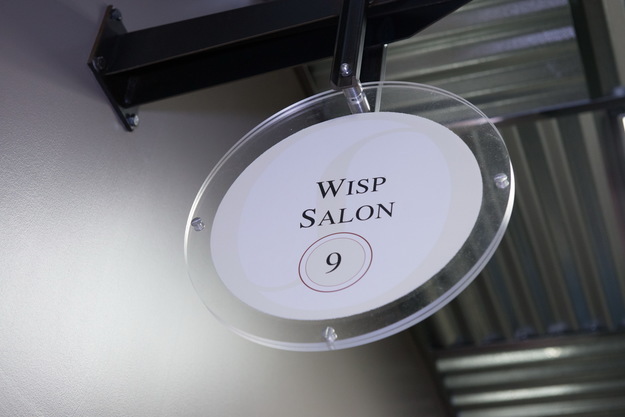 When she realized she was ready to fly solo, Sue opened Wisp Salon at Sola Salons Alexandria in January 2014. One Sunday morning Sue spied a Craigslist ad, and contacted co-manager Jeff DeBolt immediately. “I wasn’t just the first to call — I was the first to sign a lease there, too,” she adds. 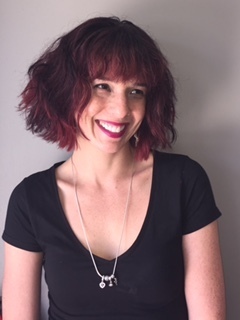 Seventy of Sue’s existing clients followed her to Sola, and in the past nine months she’s doubled her clientele thanks to the intimate environment and slower pace fostered at Sola Salon Studios. “To be honest, I haven’t invested a dollar into marketing,” Sue says. She’s a little old school. “It’s about creating the ‘wow’ salon experience for each and every client that sits in your chair. That’s become my signature,” Sue says. She doesn’t have to invest money into marketing because she invests time into her clients, who gladly come back and make referrals, too. That’s not to say Sue doesn’t take advantage of technology: she created her own personal website and also taps into Facebook, Yelp and StyleSeat. “Having a website, making sure you’re visible on Google Maps,” Sue says, rattling off other important tools modern stylists have at their fingertips. “I don’t have all of the answers, but this is what has worked for me,“ Sue says. Salon ownership through Sola helped Sue grow her clientele, true — but it also gave her a rare opportunity to connect with other salon owners, and to experience the gratification of being able to pass along her wisdom. In July, Sue was asked to help managers Jim and Jeff DeBolt lead a marketing and business workshop for other Sola professionals. During the workshop, Sue shared her business model with about thirty other Sola owners, and gave a presentation on marketing strategies. On a less formal level, Sue aids and inspires her peers on a daily basis, sharing business ideas during studio hours with anybody who’s interested. “In this industry,” Sue continues, “You can be whatever you want to be.” — especially with Sola around to help.